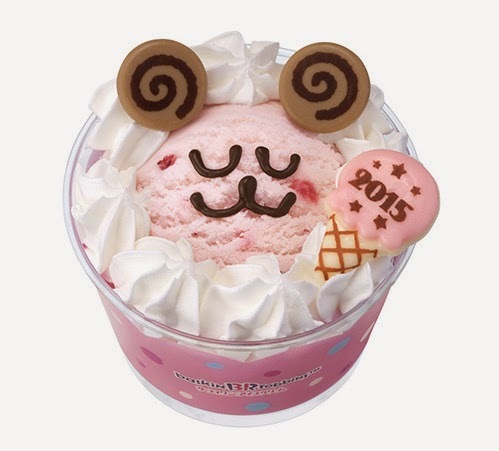 Kawaii deshou? 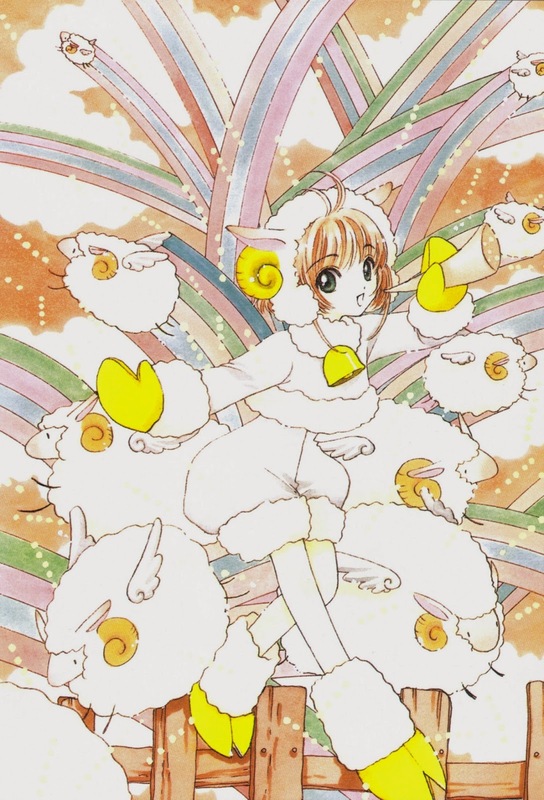 Sakura dons a full sheep costume while a herd of winged sheep circles around her. 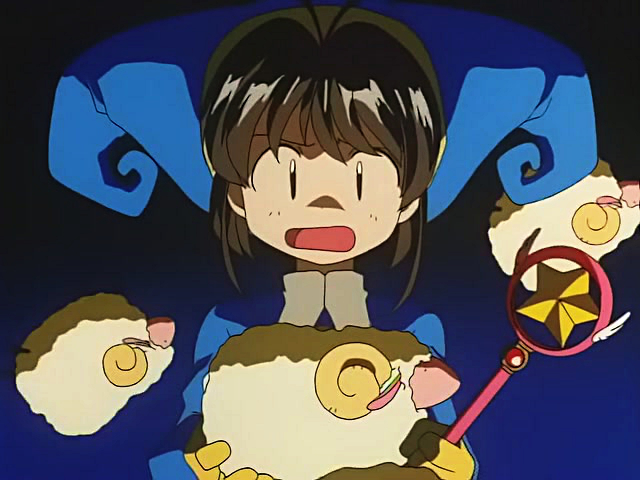 There is an episode in Cardcaptor Sakura as well where Sakura got 'attacked' by a bunch of sheep plushies while she was trapped inside a deep hole in the middle of the playground. 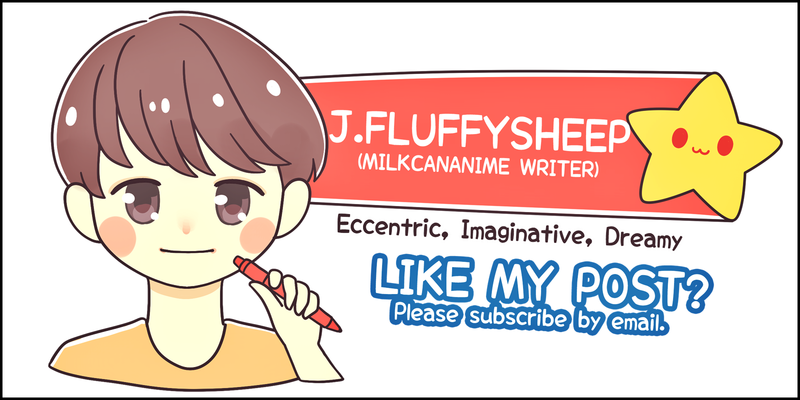 Those sheep plushies didn't even look half an inch menacing, and to top that absurdity (?) they let out a string of 'baaaaa' sounds while attempting to smother poor Sakura whose mantra 'Hoe?' echoed through the darkness. If anybody had watched 'Sakura's Sheep Warning', even the fifth graders' Japanese textbook had sheep in it! Despite its randomness, there was just something kawaii about the whole episode which etched into the subconsciousness, and over time it manifested even bigger quirks that weren't necessarily bad. Maybe that was how counting sheep began for some people. Speaking of sheep plushies, recently I came across a series of Alpacasso plush toys in Books Kinokuniya. 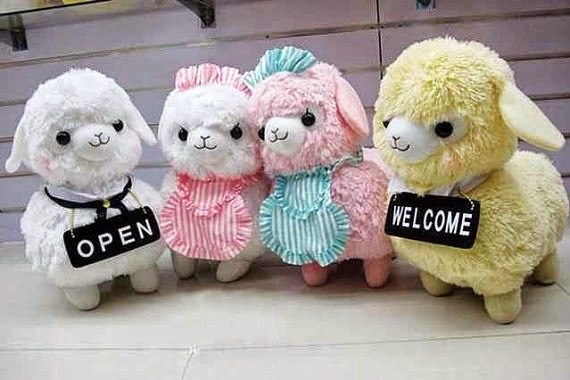 Like most plushies, the sheep are available in different sizes, designs and price tags (ahem). One of the earliest designs that caught my attention was the one bearing a 'Welcome' sign over its neck. Another one had an 'Open' sign over its neck! My immediate thought was "Oh, a cafe!" Imagine a couple of sheep standing in front of your favourite coffee house awaiting your patronage just like how the waitresses at a maid cafe would. Personally, I would be more inclined to place an order of my favourite drink and pastry from a sheep. "Baaaaa, baaaaa baaaaa?" (Welcome Sir, may I take your order?) I didn't realise that there were also sheep donned in waiter and waitress costumes. Geez, if only such a setting could be real! As I'm not an enthusiast of the Zodiac, I remain clueless about what each animal would face in the year ahead. I shall just embrace whatever snacks there are lying around the coffee table. Once again, Happy Chinese New Year! No Comment to " All About Sheep "